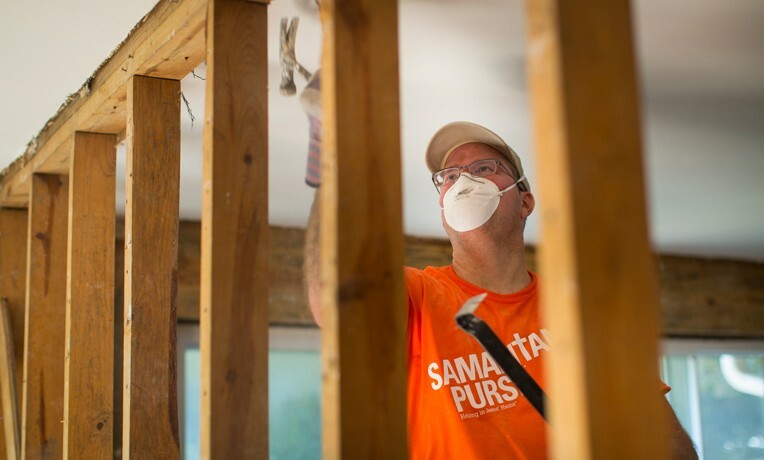 Samaritan’s Purse provided hope for dozens of homeowners affected by a devastating tornado that hit Van, Texas, on May 10. We responded immediately after the storm, sending a disaster relief unit from our North Carolina headquarters. Over the next 10 days, 579 volunteers, working out of our base at Van United Methodist Church, helped 51 homeowners with debris cleanup, tree removal, and minor roof repairs. Through the work done in the Name of Jesus by the volunteers and the chaplains from the Billy Graham Evangelistic Association Rapid Response Team, 10 people came to faith in Christ. Please pray for the people who are still recovering from this storm.